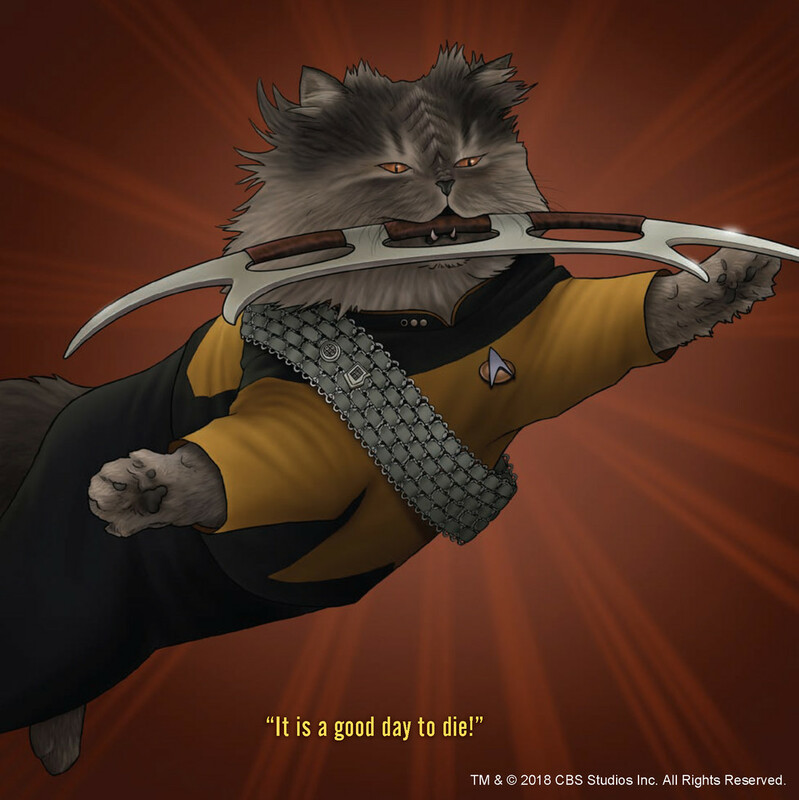 Last spring, Jenny Parks’ Star Trek Cats took the internet by storm – I had links and reviews sent to me multiple times a day for weeks. And there there was an enamel pin set and even a 2018 calendar. 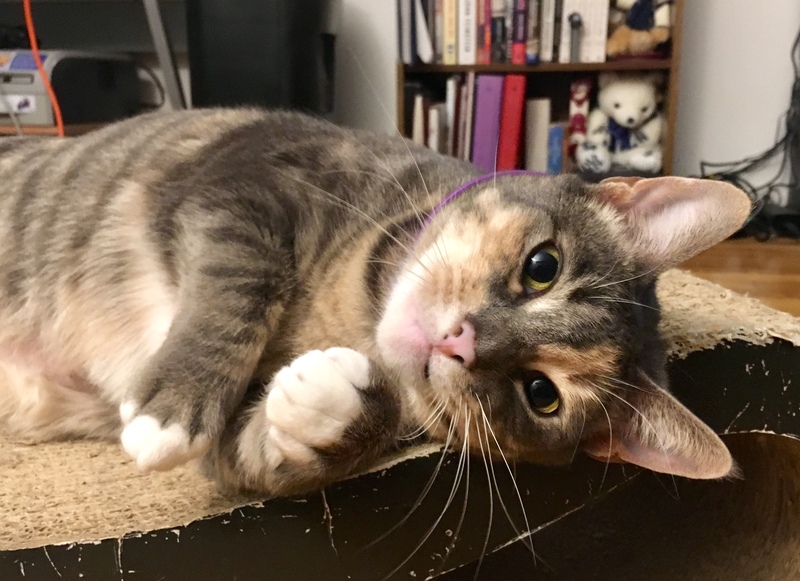 In my interview with Jenny last April, it was strongly implied that The Next Generation of feline counterparts would be hitting bookstores soon… and they’re finally here! Look at kitten Wesley. He’s perfect. Over 64 amazingly illustrated pages, Parks recreated iconic scenes from 26 TNG episodes, from “Encounter at Farpoint” to “All Good Things.” You’ll find Troi and Crusher stretching in the gym, Lt. Barclay content in the holodeck, Guinan tending bar in Ten Forward, and Picard mesmerized by his fish Livingston. 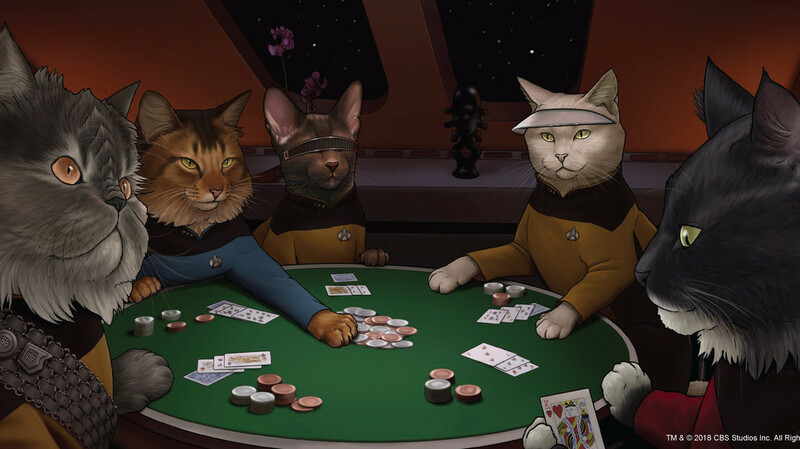 Plus, there are kitty counterparts for the Borg, the Ferengi, Gul Dukat, Sarek, Scotty, and even Lwaxana Troi. 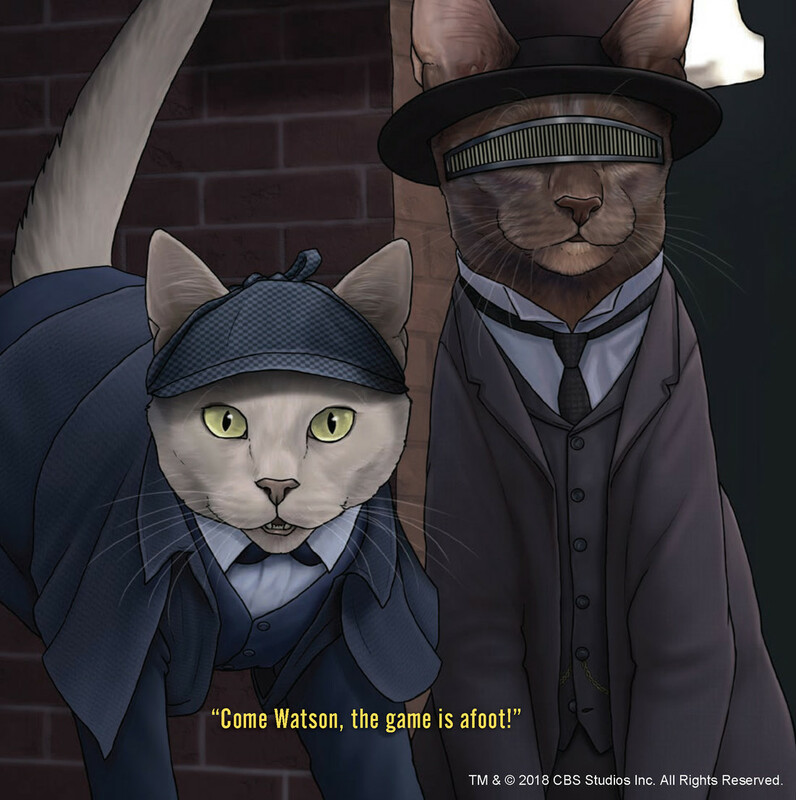 But perhaps my favorite illustration is that of the transporter scene in “Rascals” with cute, cuddly kitten version of Keiko, Ro, Guinan, and Picard. But if you want to see that one, you’ll have to pick up the book. 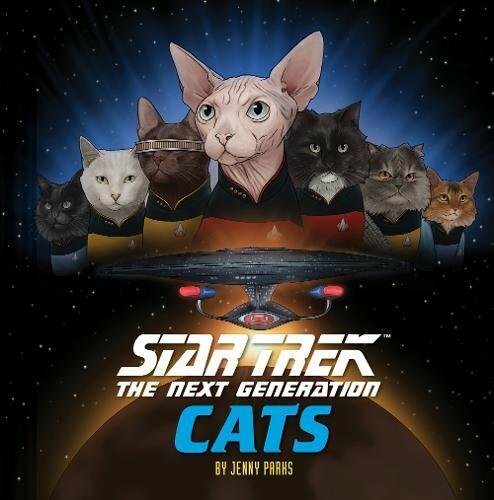 Star Trek: The Next Generation Cats will be published on March, 27, 2018 by Chronicle Books with an MSRP of $14.95 US. It is available in hardcover and Kindle on Amazon, or at your local retailer. Find artist Jenny Parks online at jennyparks.com, on Twitter @jennyparksillus, or on Facebook at Jenny Parks Illustration.